Located in Qinghai Province, Qinghai Lake，also called Blue Lake, is the largest inner land lake and the biggest salt lake in China.It is one of the Top Four Holy Lakes in China with Lake Yamdrok, Lake Manasaronar and Namtso. 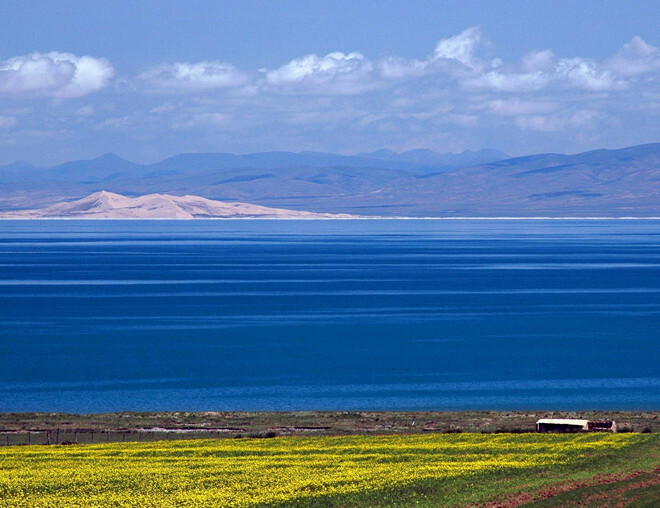 With an altitude of 3260 meters, August is the best time travelling to Qinghai lake for the average temperature of 15℃ is cool and the scenery is spectacular. The lake is surrounded by a series of snow-capped mountains.The grasslands extend from the mountains to the lake. 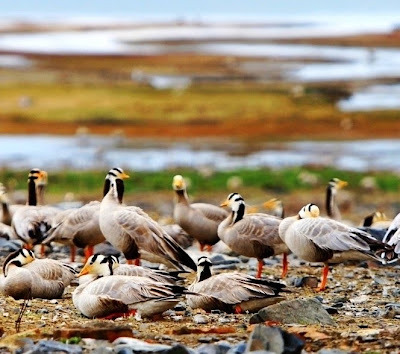 Summer and autumn is the best season travel to Qinghai Lake.Sand Island, Haixinshan Island and Bird Island are the most impressive islands in the Qinghai Lake. 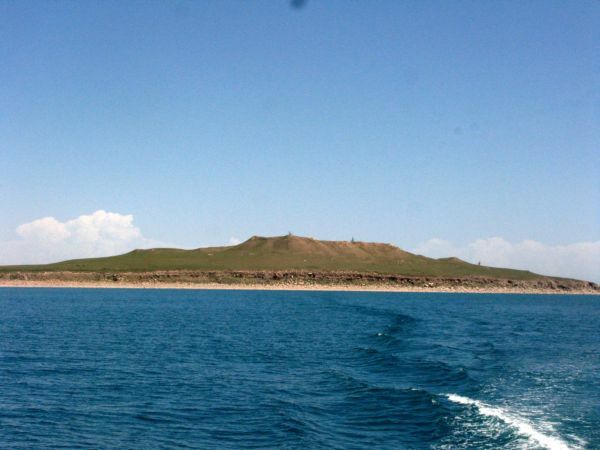 Sand Island(Sha Dao) is the largest island of Qinghai Lake.You can appreciate the scenery by riding the camels or horses.There are many entertainments like ride motor cycle or SUV on sand land. the International Sand Sculpture Festival will be held here every year. Haixin Mountain Island is also called Sea Heart Mountain.It located at the center of the lake and shaped like a spiral shell.It is made up of ivory white granite and gneiss. 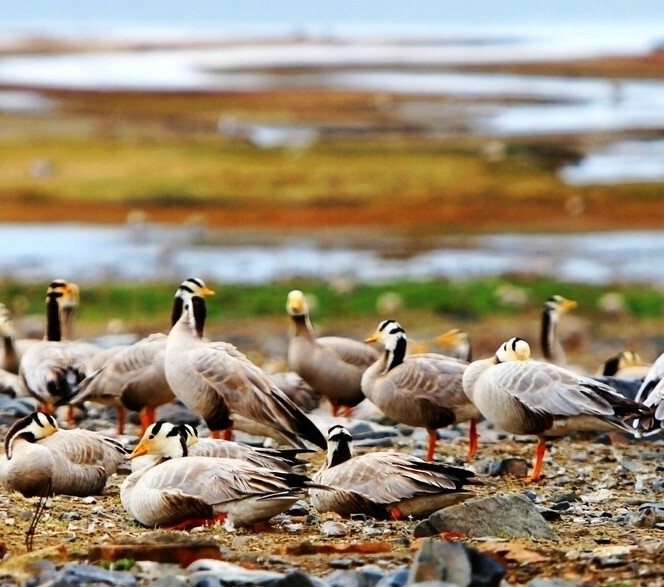 Niao Dao Island(Bird Island),located in the north mouth of Buha River,is the most important one among the Top Eight Bird Protection Zones.It’s famous for over ten thousands of birds. By train:There is a train leave for a town called Haergai which is on the northern side of the lake at 09:40. It arrives at about 14:30.Then you can take taxis or private vehicles to Qinghai lake. 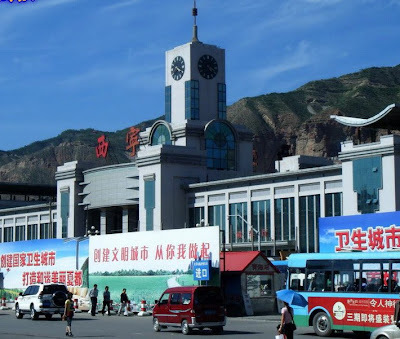 By bus:you can take a bus at Xining station to Qinghai lake. These buses leave from 7:30 to 9:00. It costs 20 RMB and takes 5 hours.